Thank you very much Mann, although I’m seriously late answering to your questions. Below are my answers to your questions, followed by my choice of candidate selected. 1. What is the silliest thing you have ever done? Jumping while dancing the cartoon lyric “Am a gummy bear…” first with my grandson, and another day with my nephew. I still shake my head and attempt to sing whenever I hear it. 2. What is the most romantic thing you ever did? Watching it on TV. Frankly, till this day I think God granted me the whole marriage experience in order to have my children. I’m yet to experience true romance in a relationship. 3. Who is your best friend? I have two cherished friends. Maggy Lozano and Nadine Olman. May be a one way street, nevertheless I still consider them both my best friends. 4. Are you looks conscious? Once upon a time. But now, the inner beauty is most cherished. But I certainly wouldn’t welcome a King Kong. 5. The best romantic movie according to you? 6. Your best holiday destination till date? New Year’s Eve in Time Square New York. This is a dream, it never happened. 7. Do you believe in astrology? I think knowledge is power, so I don’t dispute that realm. Although after my quest, I lost interest. 8. What are the traits that your life partner should possess? God fearing is of utmost importance. Maturity. A sensible sense of humor. Who understands the importance of community devotion. Loves naturally, forgives wholeheartedly. Well groomed. 9. One thing you never told anyone? 10. If you meet God on the street, what will be your reaction? My questions to you will remain the same answered above. Try to answer, in turn nominate your candidates as well. 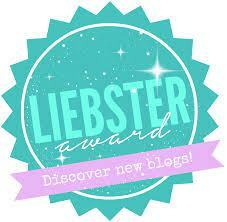 You must also display of picture of the LIEBSTER Award star on your page. 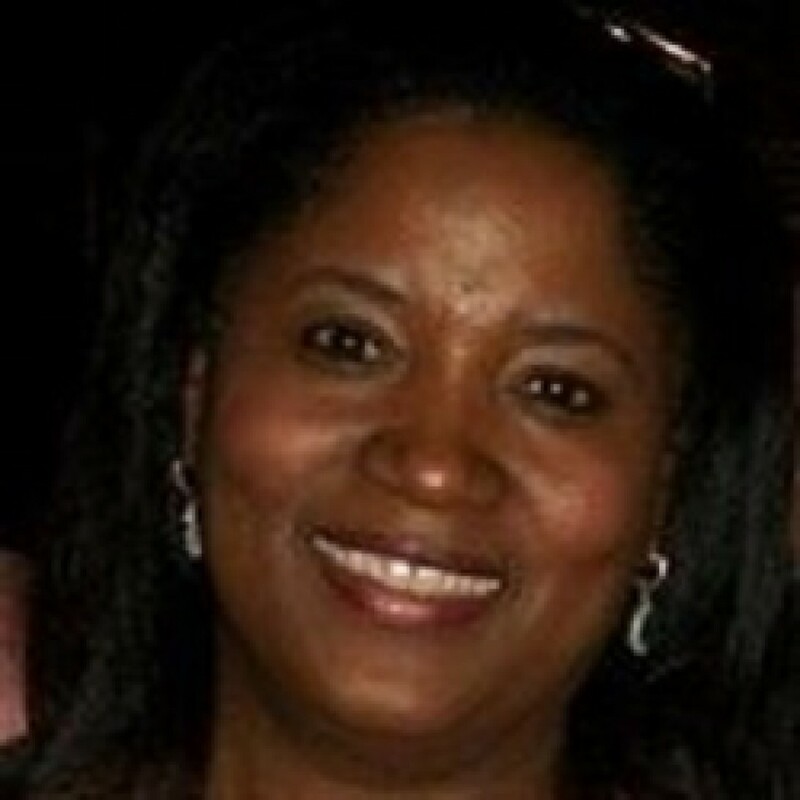 After I catered an event, I felt like a truck loaded with potatoes run over me. I was so exhausted, my brain and body were screaming for rest. Within a second, I was roaring like a Parasaurolophus Dinausor. What’s that noise Mamma? My nephew asked my older sister. “That’s your great auntie snoring, she’s from the Mesozoic era.” She answered him. When I finally woke up a couple hours later, both my nephew and my sister were glued in front of the glass door, staring at the backyard. While my sister was puzzled, my nephew was repeating “Roar-Roar-ROAW!” My heart was suddenly palpitating. I knew now iguanas were snitches, and I would never attempt to feed them again. Although, it was meant to be an experiment. I honestly didn’t expect them to eat the broiled beans I purposely spilled on the grass for them earlier. I accidentally over cooked them for my recipes, and our fridge was ready for a trip to Zimabwe. So I thought “ I can’t throw them away. Therefore why not feed Mother Nature’s children from our backyard. After all, they’ve been part of our family since our children were very young. So it came to past, after they had tasted the beans, they must have love them. Because they had called every member from their family, and perhaps even from the neighborhood. Our whole backyard was filled of them. I counted twenty two. I was about to suggest we should play some music, so they could have a party, but I didn’t know how my sister was digesting the fact that I had just inspired the iguanas from her backyard to drive to the Iguana’s naturalization office, and file for the Haitian citizenship. So I kept my mouth shot. So I answered her “Don’t you think it’s about time they start eating some Haitian food Sis. They are our extended family!” My sister turned to give me “the look” but I guess the whole incident was too hilarious, so she just laughed instead. ‘Yes. 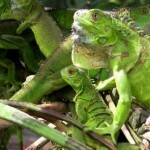 YOUR TATIE decided to feed the iguanas some Haitian food today.” My sister answered in an unbelievable tone. “Yes, but those beans were very spicy ones,mingled with some pork meat, and I didn’t rinse them as I did for those ones here.” I replied. This entry was posted in Uncategorized and tagged Backyard, Family, Humor, Iguanas, Nephew, Niece.